How many times have you bellied up to a busy bar for your wine tasting? Looking for a different elevated tasting experience that is more relaxed? Join us for a Premium Wine & Cheese Tasting in the exclusive Barrel Room at Black Star Farms Suttons Bay. 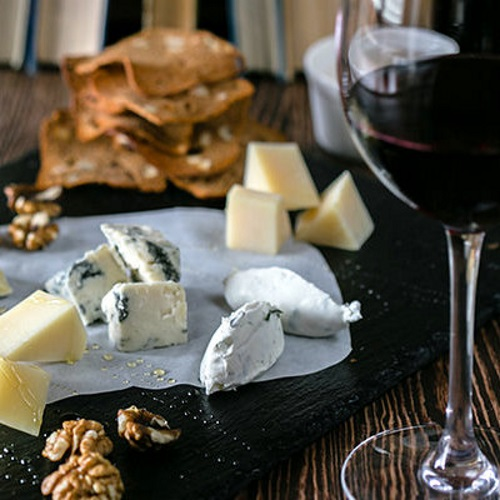 This guided table service tasting will include six wines chosen to compliment your palate, along with a souvenir glass, an artisan cheese board with house-made crackers, mixed nuts, and chocolate. Sit back and relax as you sip, nibble and excite your senses in the heart of Northern Michigan Wine Country. Available only at Black Star Farms Suttons Bay.